What should you look for in a treadmill and how do you eventually choose the right treadmill? 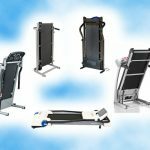 There are so many companies producing fitness equipment nowadays and treadmills are way up there with the most sought after and popular of all pieces of fitness equipment. 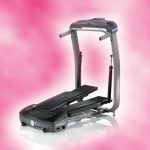 However, below we will offer you a few tips on how to go about your treadmill shopping journey, which will hopefully make it far less confusing. 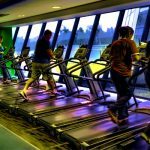 You need to decide whether you should be looking at entry-level treadmills, midrange treadmills or high-end treadmills. This will eliminate about two thirds of the treadmills you even spend time looking at. This will be your first point of elimination and will save you a lot of time. There is no point wasting hours’ looking into treadmills that you cannot afford. 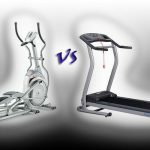 Even if you can afford a high-end treadmill at over $1500, it does not necessarily mean that you should purchase one. You need to be honest with yourself about your current fitness level and how often you are going to use the treadmill. If you are going to be running hard on it every day then the best quality treadmill in your price range would be most suitable. Here, you will need the treadmill to be strong, durable and sturdy. If you are only going to be using it for a brisk walk once a week, an entry-level treadmill will do just fine. You would also like to go for a compact foldable treadmill if you are low on space. 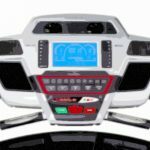 These are three aspects, which are very important when you are looking at treadmills and it is imperative that you know a bit about them. These treadmills are normally very cheap, which is why many people are tempted by them. However, keep in mind that they are also generally of a lower quality, are very difficult to get moving and to stop and normally only get going properly once on incline. This poses a problem because most people, especially beginners, cannot run on an incline for a significant period of time. These treadmills are normally a bit more expensive than manual treadmills and are obviously run by a motor, which sets the track going. They are definitely the safer and more convenient option. 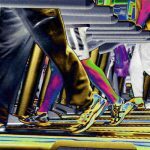 Beginners should only look at motorized treadmills. The horsepower of a treadmill communicates the strength and possible speed of the treadmill. 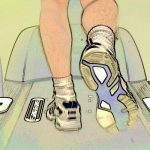 There are many “ratings” associated with treadmill horsepower but the only significant one is the continuous duty rating. Look for at least a 1.5 to 2.5 HP treadmill. Let’s be honest here, treadmill training can be hellishly boring! For this reason, check that your treadmill has multiple instant treadmill programmed workouts. These help to keep your training interesting. It may have pre-set interval training or even a “random” option button that combines speeds and inclines for a trail running type of work out. This has to be one of the most important things to ask about when purchasing any piece of expensive machinery. The last thing you need is to be sold an expensive product that breaks down within a few months with no warranties! Seek out the best possible treadmills that suit your budget and requirements and then pick the one with the best possible warranty. Do not choose a treadmill with less than a one-year warranty on any specific part of it. Many treadmills will have different warranty periods on different parts. Lastly, it is always best to take someone with you when shopping for treadmills. Someone that has some experience with treadmills or knows a bit about treadmills would be your best option. This way, you are less likely to be overcome by a pushy sales person and will have someone trustworthy there to bounce opinions off of. Enjoy your shopping. Remember that this is a form of exercise too!